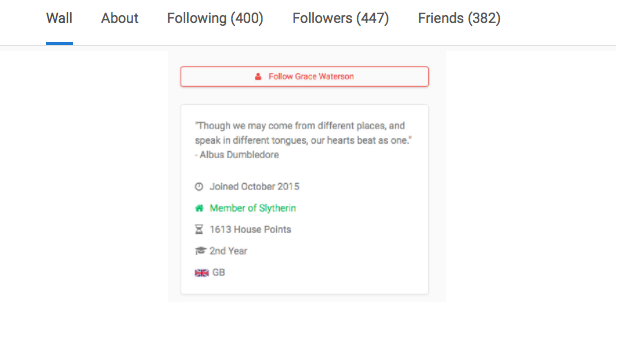 Your Profile is the central point of your account on HiH, and the profiles that arrived with the update did not disappoint anyone wanting to add more spice and personality to their pages. 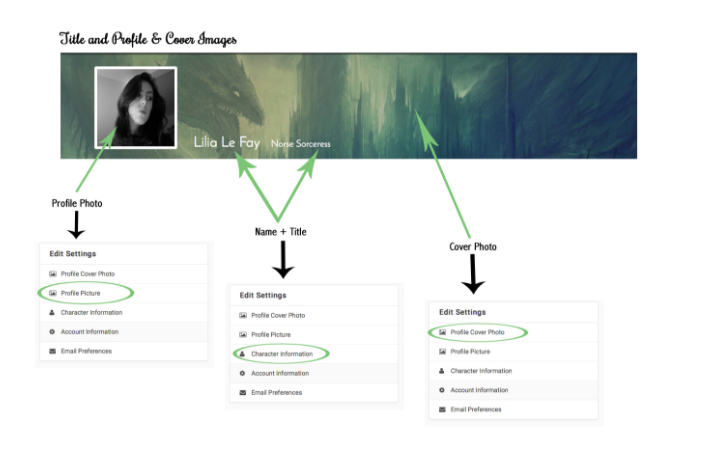 As well as displaying your posts and allowing people to post on your page as before, profiles now come with Backstories, cover pictures, profile pictures and additional information such as your ‘Title’, and are also easy to edit and access. 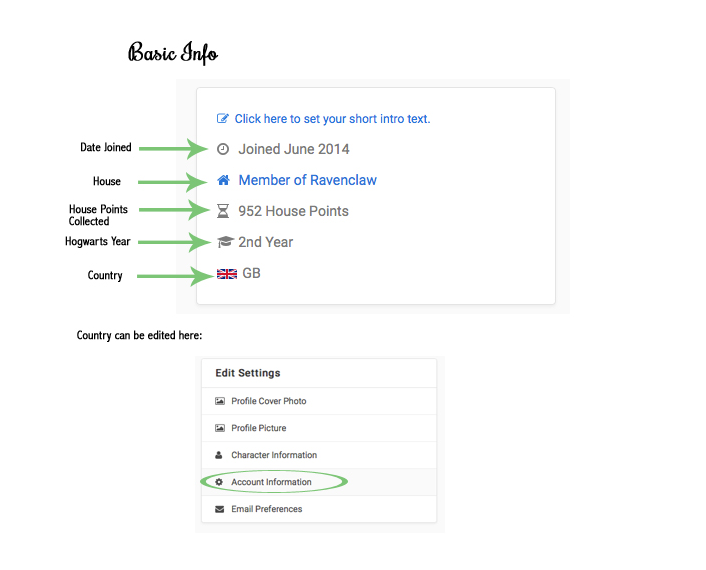 Below are images detailing the works of your profile and different aspects you can customise. Finding Your Way Around Hogwarts, Great Hall, Etc.